At Alfa Barstools, we have stools of various heights and sizes. 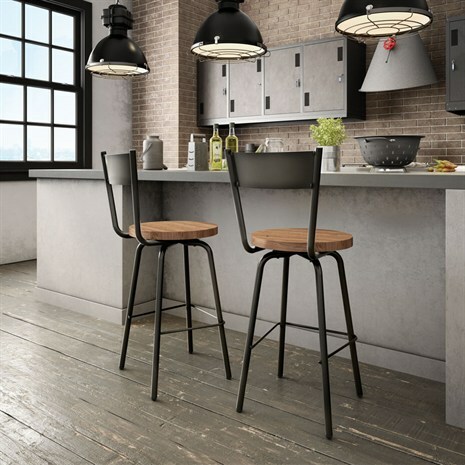 Worried that standard barstools are too large for your space? 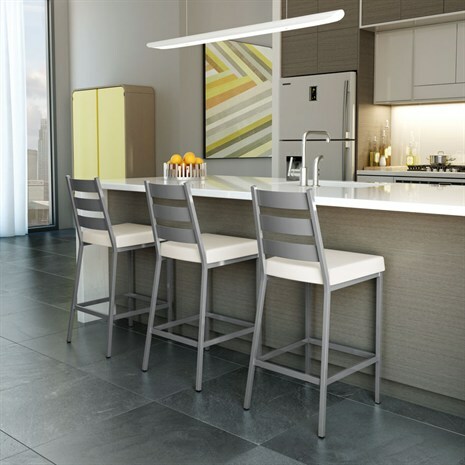 Narrow barstools are a popular choice for condominiums, home offices, and smaller spaces where you want counter or bar height seating but with an uncluttered look. 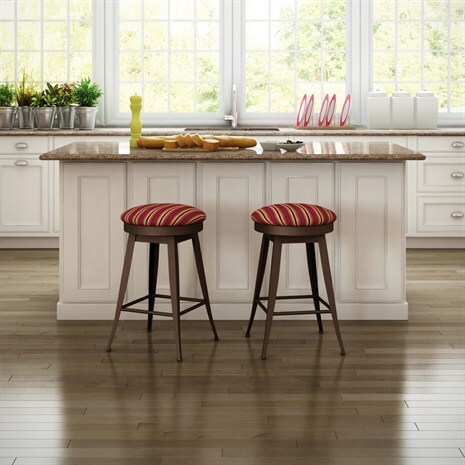 Generally 18” wide or less, narrow stools can come in varying heights with an assortment of styles and features. We sell them from our Lauderhill, FL warehouse where you can make an appointment to view in person or feel free to place an order online. Need help deciding which stool is right for you? 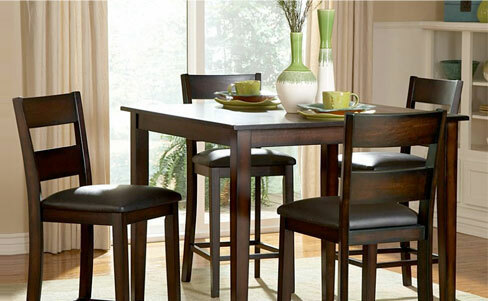 Want assistance deciding on the right size or the right number of stools for your seating area? We can walk you through the process and offer design tips and guidance along the way. We do custom barstools, too. Do you have a small space? 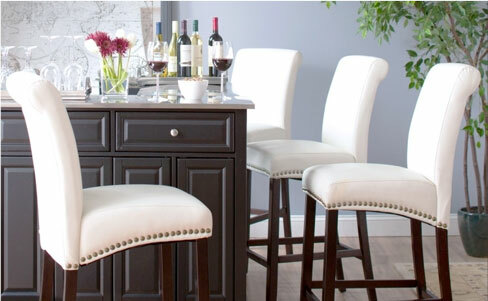 18” wide barstools (or smaller) can work very well for small spaces. Tuck them under counters when not in use. Wondering how many barstools you can fit into your small space? 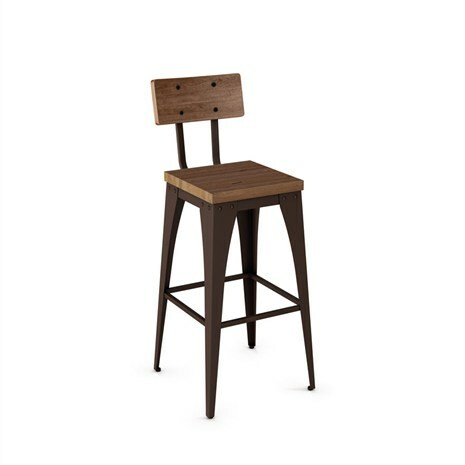 Check out our handy barstool size guide for deciding which barstool is right for you. In extra-small spaces, you might opt for no back stools with a narrow base design. This not only takes up less space but ensures that larger people can sit without arms being a hindrance. 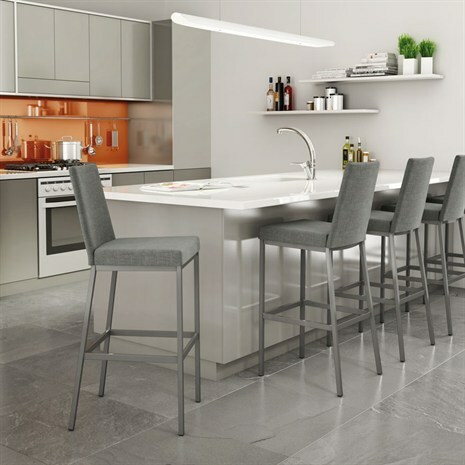 In this instance, you probably won’t get some of the features that are available on larger stools, such as tilt option (due to the fact that this needs a very stable and wider than average base). Want taller narrow stools? 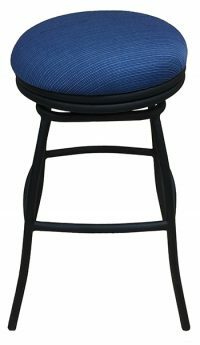 In this instance, many people opt for tall stools with a steel base for better stability and less risk of tipping. 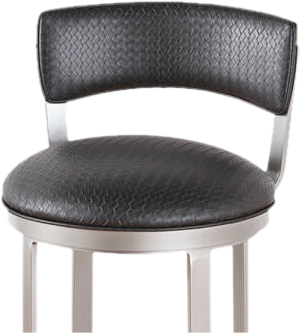 We sell brand name narrow barstools in multiple heights and in a variety of styles with varying features. 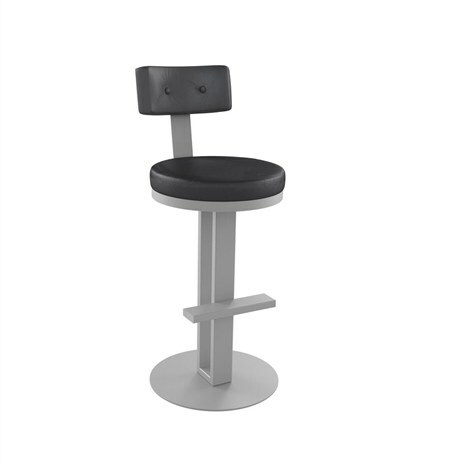 You can get adjustable narrow stools, stools with and without backs, with and without arms, and stools that are stationary or barstools that offer a tilt and swivel feature. 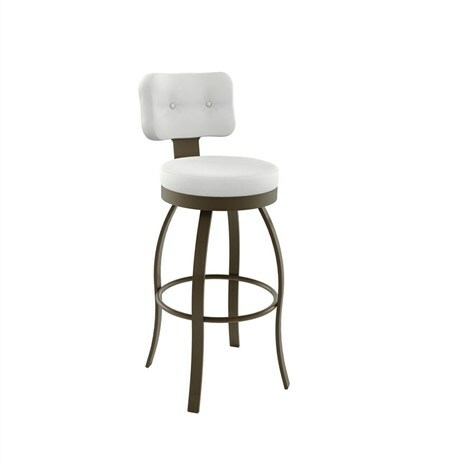 If you do not see the barstool style you want, Alfa Barstools offer custom made barstools, too. Tell us what you need in terms of size, style, material, and feature(s), and we will provide you with a no-obligation quote. Narrow barstools can be comfortable, too. 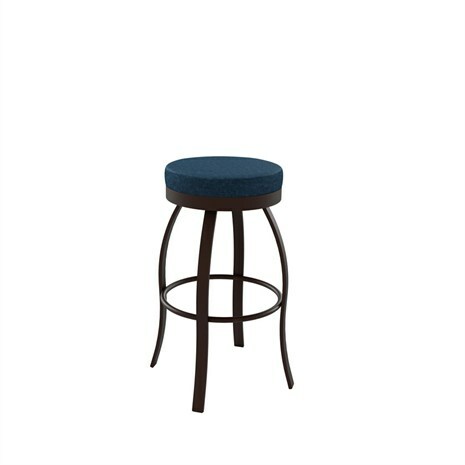 The saddle style is a popular option in a backless narrow stool. Or, we have great styles that have backs with extra thick cushions, too. 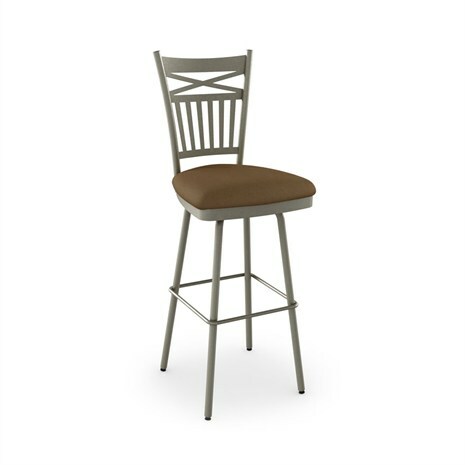 Whether it’s a narrow circular or square backless barstool, a leather swivel and reclining barstool with arms, an outdoor spectator height barstool, or some other stool you want, we offer a great variety of space saver barstools at excellent prices. 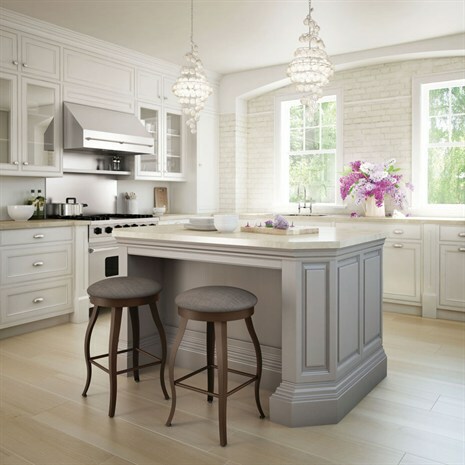 Alfa Barstools has a great reputation and we’ve been in business serving commercial and residential customers for more than 25 years. We would love the opportunity to show you why many of our customers tell us that we are the best place to shop online for barstools.